Christopher Taylor performs the Bach Goldberg Variations on the Steinway-Moór Concert Grand, a unique dual-manual Steinway. This model D concert grand by Steinway & Sons and is the only Steinway equipped with a double keyboard developed by Emanuel Moór (1863-1931). It was built by Steinway for Werner von Siemens of Berlin and sold to him in 1929. 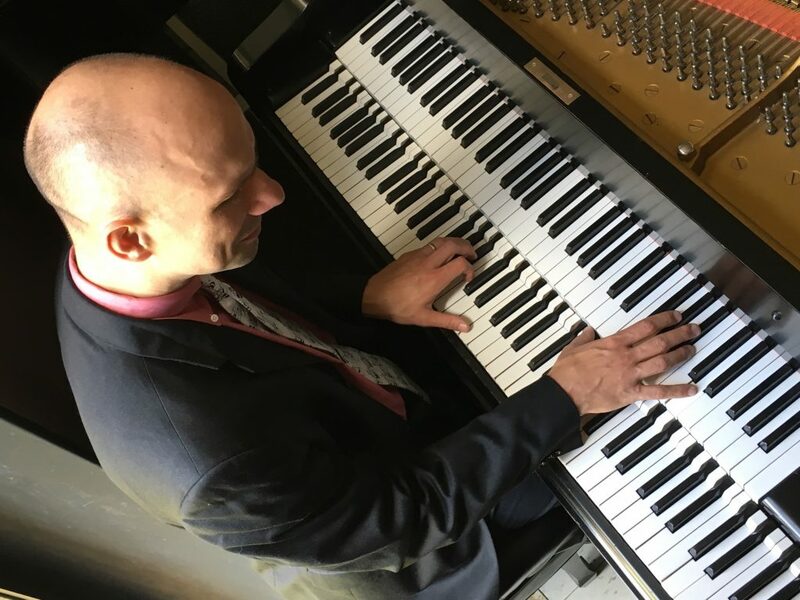 The piano was purchased by the University of Wisconsin-Madison in 1961 for the use of Gunnar Johansen, artist in residence at the university at the time. After Johansen’s death in 1991, it remained unused for many years until John Schaffer, director of the School of Music, and Christopher Taylor, professor of piano at the school, began discussing the prospect of restoring it to optimum playing capacity several years ago. 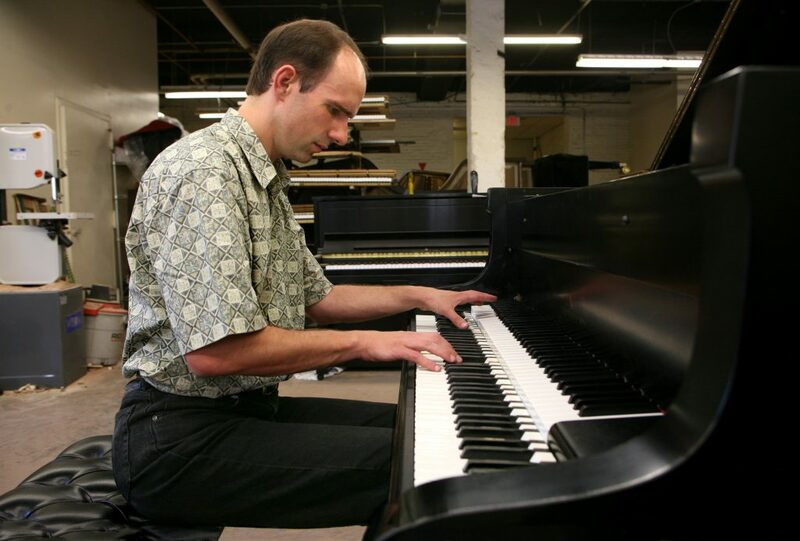 The completion of the rebuilding project by Steinway in 2007 marks the beginning of a new stage in the instrument’s life. It will now be used for selected tour dates by Taylor and heard in concert at its home at the university. The lower keyboard of 88 keys resembles that of a typical piano. 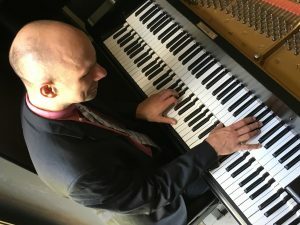 The upper keyboard of 76 keys is one octave shorter in the treble but sounds one octave higher than the corresponding key on the lower keyboard. Each keyboard can be played independently but both can be coupled together by depressing a pedal located between the una corda (far left) and sostenuto (second-from-right) pedals. A catch mechanism allows the pedal to be retained in its depressed position. When the keyboards are coupled, each note played on the lower keyboard sounds both its own pitch and that of the key directly behind it on the upper keyboard, one octave higher. As a result, polyphonic textures available to the player are greatly expanded, volume levels may be increased, and chords which extend over two octaves may be played with one hand. 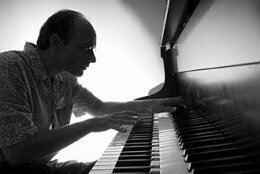 Since the piano’s restoration in 2007, Christopher Taylor has brought the instrument to life for complete performances of the Bach Goldberg Variations in select venues across the country. The instruments 21st century debut took place in Taylor’s hands at the CaraMoór Festival, followed by his performances at Ravinia, the Gilmore Festival and the Krannert Center at the University of Illinois in Urbana. 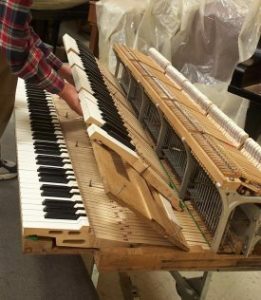 Many individuals have played a part in the restoration of the Steinway double-manual piano and in providing the means for it to be heard on tour. Kenneth Wentworth, Jonathan Wentworth Associates, Ltd.